The Stone Virgins (2002) is stunning, haunting and quite disturbing. The book centers on two sisters caught-up in post-Independence violence in Zimbabwe. It is also about Zimbabwe, represented in the first part of the book by Selbourne Avenue and then by Kezi, the village where most of the novel’s action takes place. Selbourne Avenue is in a country where an oppressive, apartheid-like system of government separates Africans and Europeans, where Africans negotiate a second or third-class existence in their native land. Off Selbourne Avenue and and a drive of two hundred kilometers, one arrives in Kezi. With its Kwakhe River, marula trees and views of the hills of Gulati, Kezi, brimming with life, is also close to danger. It is the time of the Zimbabwe War of Liberation, of the Second Chimurenga. It is in Kezi that we meet Thenjiwe, the first of the two sisters, whose lives mirror that of the nation. She has a brief but intense relationship with Cephas. Their relationship fails because they are unable to ask the questions that need to be asked nor say what has to be said. A nation approaching independence and its people unable to ask their freedom fighters: what happened out there in the bush, what has our freedom cost you? A coming-together, a loss of words and a parting, all foreshadow a terrible violence. The second part of the novel covers the years between 1981 and 1986. She holds on. Has she lived before this moment of urgency and despair? Is there something whispered before a cataclysmic earthquake, sleep, before a frightful awakening to death? Is life not lived backwards, in flashes, in spasm of hopeless regret? This violence is completely unimaginable! And again words fail the characters in Vera’s story. Men who previously protected and fought for the country’s freedom have now turned against its people in so brutal a manner. Yet, Vera forces us to confront the figure of Sibaso, the freedom fighter who “kills not because he is hungry but because his stomach is full”, who seeks acceptance and acknowledgement from his people. Kezi is a place grasping for survival – war, drought, death and betrayals: a habitat as desolate as this is longing for the miraculous. 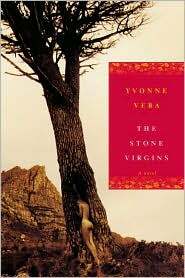 Vera‘s writing is lyrical, sensual; The Stone Virgins reads like a prose poem. Her prose is among the most beautiful pieces of writing that I’ve ever read. The book may not appeal to those who like plot-driven stories. I loved it and could not for a long time find other words to describe its profound effect on me. This story has shaken me. My mother and I arrived in Zimbabwe in 1983; she, fleeing her native country and entering a long period of self-imposed exile, me, in my early teens. We lived in Harare and I remember murmurings and whisperings of war and deaths in the southern part of the country. Uprooted from the country of my childhood as a result of political upheaval, I must have needed Zimbabwe to be a stable and safe haven. And it was, for my mother and I, for seven years till I left for college. Reading The Stone Virgins now, in light of all that has and is still happening in Zimbabwe, has broken my heart. I feel the loss of home all over again. Yvonne Vera was an exceptionally talented and courageous writer. She died, in 2005, at the tender age of forty, leaving behind an impressive number of novels for one so young. The Stone Virgins is not just a story of war and violence in Zimbabwe. It is a story of love, of community, of sisterhood, of betrayal, of oppression, of freedom, and of the sweeping landscapes of Africa. An Arabic translation- done by myself- of this amazing book will appear in Cairo,Egypt,during the coming two months. It was a most difficult task: translating Vera’s poetic narrative, but a very enriching experience. 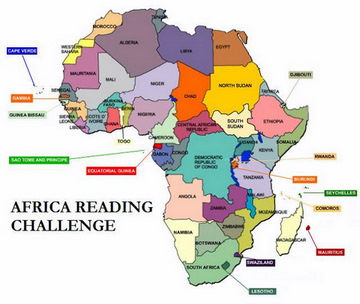 I can only imagine what a challenge translating Vera poetic prose must be! Thanks so much for your translation and for making this wonderful book accessible to Arabic readers. Yes it is. And thanks for visting. Yvonne Vera was a really gifted writer. I skimmed so as to avoid most plot details (I love starting a book knowing nothing about it!) but it sounds amazing. I’ve added this, and a few of her other books, to my wishlist. Heh, I call it the black hole… It is on Bookmooch though so that if anything gets listed I can request it. Bookmooch? I have to check that out. Yes! http://www.bookmooch.com. It is an online book swap site.